According to our latest research, health experts predict that approximately 37 million Americans will suffer from sinus infections this year. Medication brings temporary relief and in extreme cases surgery can be the only answer. Salt therapy at The Salt Room St. Charles is a drug free treatment that brings relief. Salt therapy at The Salt Room St. Charles recreates the microclimate found in salt caves and mines in a controlled environment. 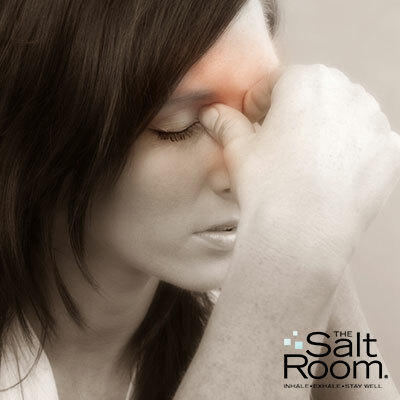 If you are suffering from sinus infections you will be taken into The Salt Room St. Charles and shown special breathing techniques to maximum effects. The walls and floor of this special room are covered with sea salt. Our clients can read, nap, or listen to music while during their session. The treatment room also boasts of a “halogenerator” which is responsible for dispersing negatively charged particles (up to 3-5 microns) of sodium chloride aerosol. The halogenerator ensures a supply of clean dry air saturated with sodium chloride particles. Other symptoms include breathing difficulty, fatigue, cough which may be severe at night, decreased sense of smell sore throat and bad breath. Prescription drugs like antibiotics or decongestants bring temporary relief but have adverse side effects. Sometimes the only treatment prescribed is surgery which is not always successful. Salt therapy at The Salt Room St. Charles is a drug free treatment. If you are a sufferer of sinus infection, contact us today and we will help you with a proven sinus infection remedy.